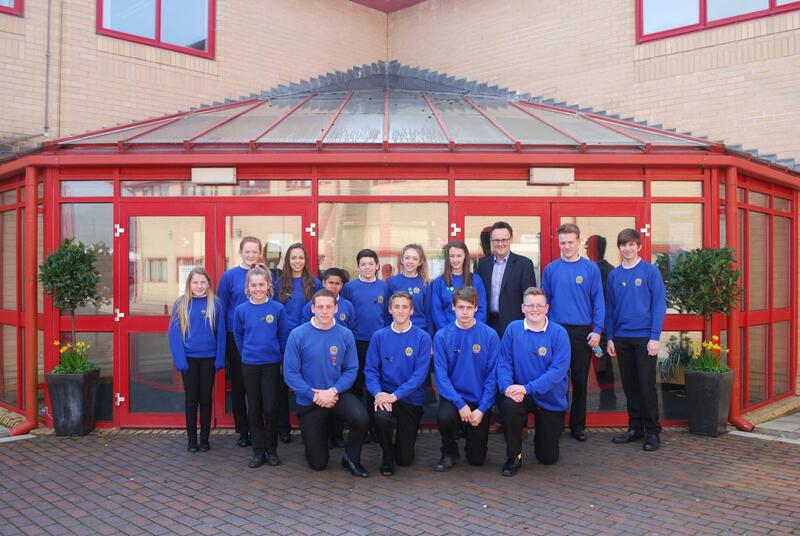 In November, we went to local secondary Cwmtawe Community School to inspire kids before selecting their GCSE choices. Interest was fairly low – only 39% of students were committed to learning another language. We sent along two of our employees, Amina Malik and Charlotte Williams, to promote the benefits of learning a new language. The outcome was more than we could have expected. Why did Wolfestone take part? School pupils have little experience of the translation industry and the wealth of career opportunities it can bring. We feel that this is because children aren’t being exposed to the benefits of branching out into other countries. Gap years or backpacking excursions are now becoming more common, but many of those who do venture to other parts of the world seldom learn the language. Aside from culture and great learning potential, they did not know the financial benefit of learning another language. We went along, because we do know the financial benefit! We wanted to inspire them by showing them how their dream life could become a reality with translation. We volunteered to speak with the children about how translation and language learning could improve their future and to share our experience as an employer. This included a presentation on the power of the industry, a few games, some rather funny examples of when translation went wrong and, last but not least, personal experiences from an intern and an employee of Wolfestone. How did this experience impact the children? One of the volunteers that presented is not far in age from the children they spoke to. When the kids found this out, there was an unanimous change in their faces, and the kids were genuinely asking themselves, “Who says I couldn’t be there in 5 years’ time?” At this point, the kids became alive with ideas, questions and answers. The baffling concept of languages was coursing through their minds. Did you know that you can instantly add 10% – 15% to your yearly salary if you know another language? We worked this out for the kids based on a minimum wage and they were perplexed that you can actually make over £100 extra each month, by doing something that is fun and unusual. The response was: 39% said ‘Yes’, 40% said ‘Possibly’, and 21% said ‘No’. After attending a workshop and considering your own Global Future, how likely are you to take a language GCSE? The response was: 59% said ‘Very Likely’, 35% said ‘Likely’, 6% said ‘Very Unlikely’ and 0% said ‘Very Unlikely’! How did this impact the Wolfestone team? ‘For anybody who has experience of kids, you will know that they don’t have great attention spans, especially when break time is looming! I was staggered to hear the results. I really cannot describe well enough in words how invigorating that feeling is. It feels like you are really making a difference in somebody’s future. The fact that they were so interested has definitely made me want to get involved in more workshops and events on behalf of Wolfestone.’ Charlotte Williams, Sales Executive. We continue to plan events as a part of our corporate social responsibility and if you are interested in our multilingual services then, take a look here.